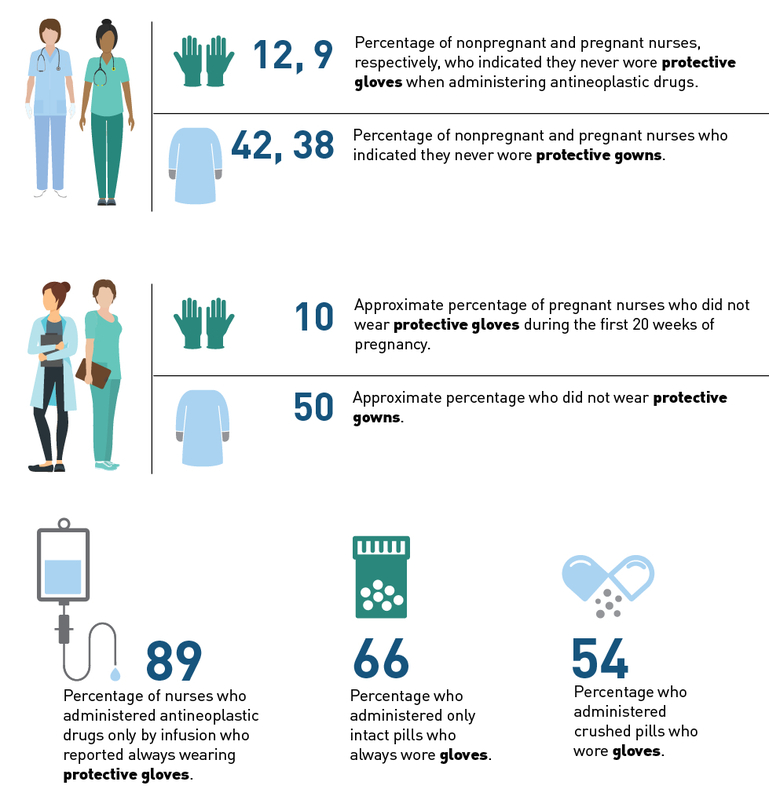 Many nurses who administer antineoplastic (chemotherapeutic) drugs report not always wearing protective gloves and protective gowns, according to a study published in January by the American Journal of Nursing. Researchers collected data from the Nurses’ Health Study, a web-based survey of nurses in Canada and the United States. The study results are drawn from the responses of 315 pregnant and 3,845 nonpregnant nurses. Antineoplastic drugs are administered in liquid or pill form. Exposure to these drugs can harm the healthy cells of nurses and of a developing baby. Researchers from NIOSH, the Harvard School of Public Health, Harvard Medical School, and Brigham and Women’s Hospital in Boston, Mass., contributed to the study. Information from the study appears below. 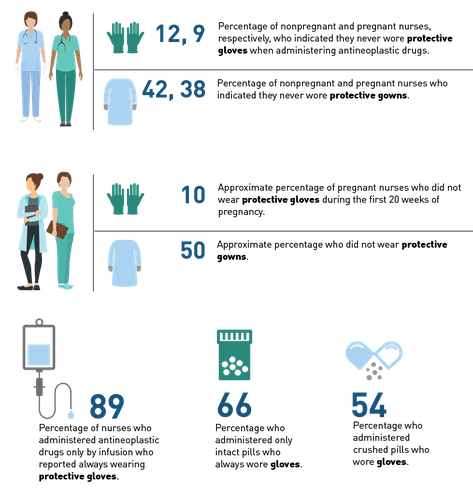 American Journal of Nursing: “Antineoplastic Drug Administration by Pregnant and Nonpregnant Nurses: An Exploration of the Use of Protective Gloves and Gowns” (January 2019). NIOSH: “Protective Glove and Gown Use when Administering Antineoplastic Drugs” (January 2019).